And no matter what Cory says across the page, I’m comfortable with my selection and am confident you’ll agree. Gaia has been the one constant on the one unit that needed to improve the most and certainly has. As the starting center in the shotgun, where there’s pressure on every play to get it right — even including the victory formation, but we’re not going to get into that again — Gaia has more than answered the call. The unit gave up nearly 100 sacks the last two years, practically ending Christian Hackenberg’s career before it started. 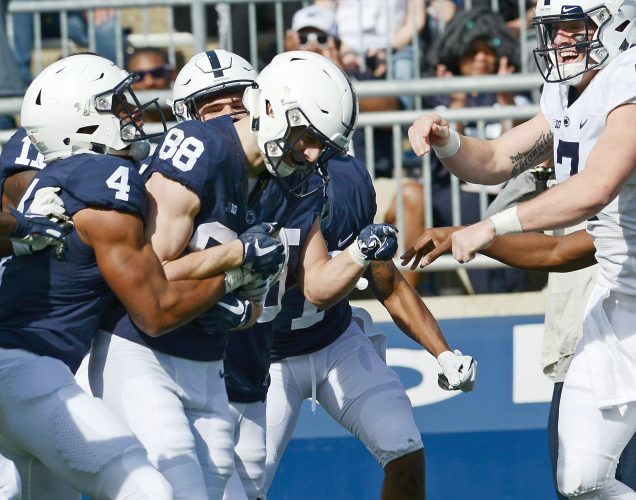 This season, that number has been drastically reduced to just 20 and has allowed Trace McSorley enough time to unleash the Nittany Lions’ impressive vertical passing game. 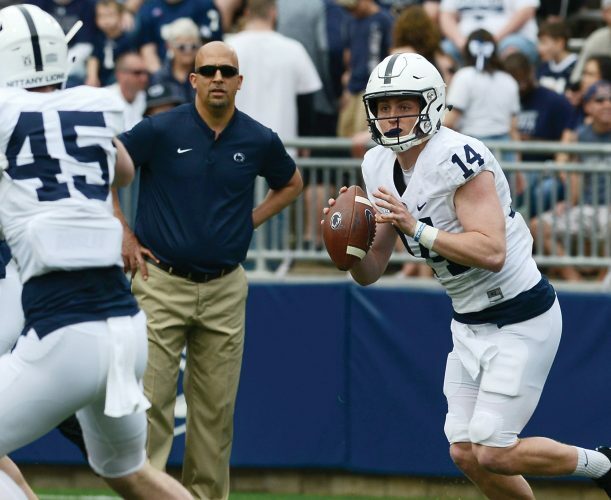 McSorley has averaged a staggeringly-productive 20 yards per completion over the past four games, and the Lions’ have averaged 40 points per game during their six-game winning streak. Further, Gaia and company have capably escorted Saquon Barkley, the Big Ten’s leading rusher. A fifth-year senior, Gaia has done it after making a position switch from guard, and he’s endured a virtual revolving door that has spun around him. Penn State has started five offensive tackles — Andrew Nelson, Brendan Mahon, Paris Palmer, Chasz Wright and, at least in the second half at Indiana, Ryan Bates — along with multiple guards as Bates, true freshman Connor McGovern, redshirt freshman Steven Gonzalez and all-purpose veteran Derek Dowrey have split time. Despite the changes, miscommunication within the line has been at a minimum, thanks in part to Gaia, who will be making the 36th start of his career Saturday night at Rutgers. Centers typically only get noticed when things go wrong. Gaia’s durability, improvement and leadership have symbolized the transformation of the Penn State football program.